Crop Dusting or Ag Flying, Pros and Cons Plus More. Crop Dusting Pilots, Find out All the Pros and Cons Plus More. 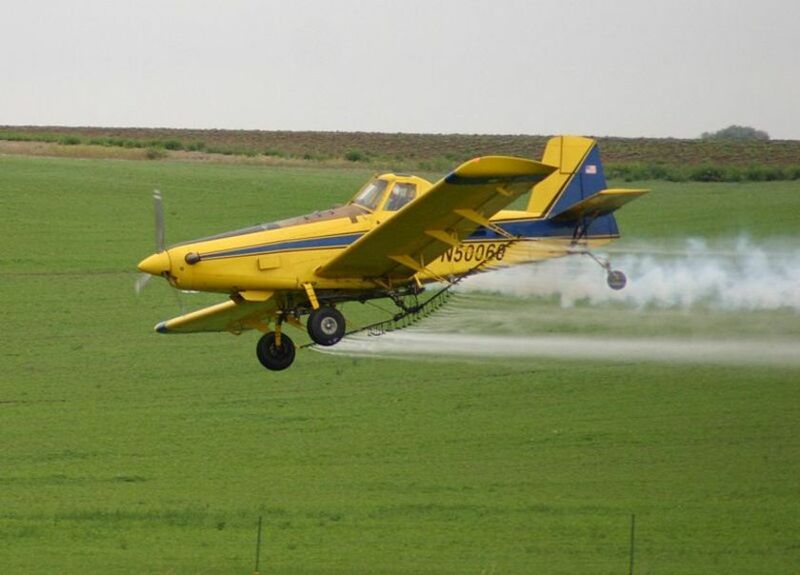 This is an Air Tractor 502 Ag Plane Dusting a Crop. I remember when I was not much older than six years old seeing Crop Dusters for the very first time as we were driving across Texas on vacation. I remember asking my Father what they were, and why they were flying so low. He went on to explain to me that they were flying low like that so they could get the most coverage on each pass spraying the fields. My very next question was what for, he smiled and began explaining they were spraying pesticides to control insects on the crops. I smiled and began to dream that one day that would be me up there flying that cool looking plane. That never came to be, although I did become a Pilot and learn aerobatics along with many other flying adventures. Well enough talk about that, lets get started learning more about Agricultural Spraying. Ag spraying roots go back to 1921 in Dayton Ohio where the first Pesticides were successfully used on a farmers field. This was possible through the joint effort of the Department of Agriculture and the US Signal Corps's at McCook Airfield Field in Dayton Ohio. The first pilot to test this Arsinate chemical was John A. Macready in a J4 Jenney Biplane. This became a very popular method of application for protecting farmers fields from insect infestation. Later in 1924 it was commercially used for the very first time by Huff Daland Crop Dusting. In the 1930's Ag Pilots commonly used both Insecticides and Fungicides when spraying farming fields. This quickly became popular throughout all of North America, and later to a lesser degree around other nations. This is a Whitney Straight M.11 Monoplane Similar to the One Used for Crop Dusting Below. Ag Spraying became more and more popular as the years went by in America, and other countries through the 1930's. In New Zealand they experimented with Fertilizers such as superphosphate. In the late 1930's thru 1946 the term Arial Top Dressing became the new description used for spraying fields. 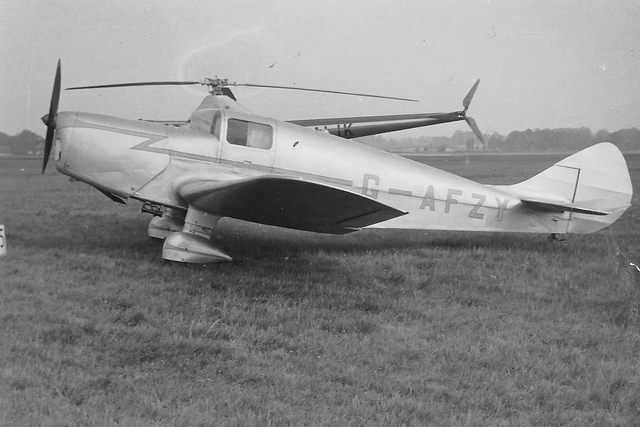 Initially seed and fertilizer were both dropped together using the popular M.11 Whitney Straight monoplane for aerial seed sowing. In 1973 Night Top Dressing became the norm, up to present day. Over the years Arial Top Dressing has gotten more refined with the advent of new technologies in both application methods and type Ag plane designs. Due to very hot temperatures during the day, many of the insects traveled down toward the roots returning at night to eat. So now it is very common to see dusting occur at night so they can kill while there eating. Many of the planes used for Ag flying have spraying systems that are built into there wings, and the pumps that control it are driven by wind turbines. There are a large variety of Ag planes that are used depending on which part of the country you live in. All the Ag planes have really great "STOL" short takeoff & Landing abilities. These type planes have to be built very rugged for the type work they do. Crop Dusting Ag pilots average around $65,000 per year, but they work and fly from sunup to sunset. If you own your own Top Dressing Service you can make from 125,000 and up. If you are someone who loves flying low, and has great stick & rudder skills, this might be for you. There is a real demand today in the United States for talented Ag Pilots. Lets explore the pros and cons of being a pilot in this unique industry. Part of an Ag pilots job is to fly around 15 feet above the fields so the spray will not drift away. There are many hazards involved with this kind of flying you have to constantly watch out for. Such as farm buildings, trees, power lines, and towers. If your eyes are not constantly looking outside that cockpit accidents will happen. Ag pilots have to be intimate enough with their planes, that flying it becomes second nature. This only comes from many hours of practice and flying experience. Here is what can happen to you if you get complacent while crop dusting the fields!! When Ag pilots fly they make many steep climbing turns and have to be very coordinated with their rudders. 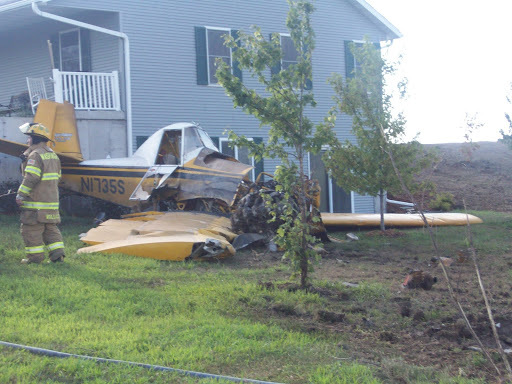 If not the planes can become uncoordinated and stall out. If this happens while flying so low to the ground, you will never have time to recover. Many of the old time crop dusting pilots were taught by World War II veterans. These old instructors knew how to fly with stick and rudder mastery. The old Instructors back then knew there planes inside and out. Many of the Owners of Top Dressing Flying Services today, all agree the young pilots of today don't have the right stuff to be an Ag Pilot. The flight instructors today just don't teach stick and rudder anymore like the veterans of the past. When a pilot is executing either climbing or descending turns, they should not have to look at their turn bank indicator on the dash panel to know weather or not the plane is coordinated . Pilots should be able to feel what is going on with the plane at all times, and frankly most pilots lack that ability. There are many different schools one can attend to learn Crop Dusting and some Owner Operators who will let you work for them in return for learning the trade if you have the right stuff. For more information about this subject please read the following article written by Jonathon Welsh of Wall Street Journal back in 2009. What it takes to teach the next generation of Ag Pilots and why it is so difficult to get qualified pilots with the necessary skills handling a plane. Thanks for flying in to see whats new with "Crop Dusters", this page is still under Construction but feel free to Bookmark this page and fly-by from time to time and see whats new. As always, stay safe and Happy Flying! !